Ada County is a county in the southwestern part of the U.S. state of Idaho. As of the 2010 Census, the county had a population of 392,365, making it the most populous county in Idaho with 23.3% of the state's total population in 2010. 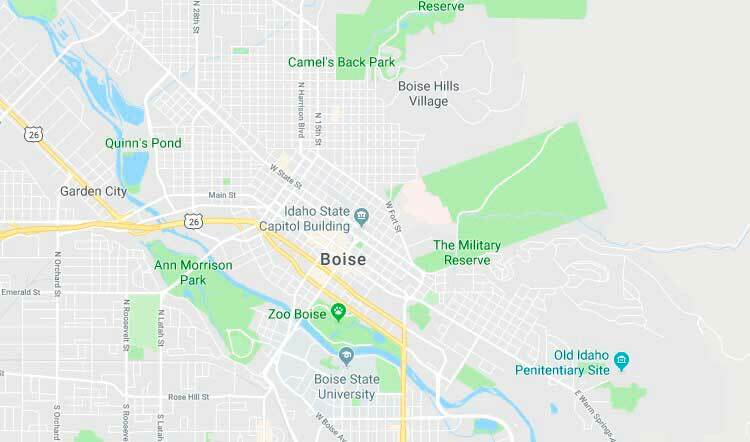 The county seat and largest city is Boise, which is also the state capital. Ada County was created by the Idaho Territorial Legislature on December 22, 1864, partitioned from Boise County. It is named for Ada Riggs, the daughter of H.C. Riggs, a member of the legislature; he established the county and was a co-founder of Boise. Canyon County, which originally included Payette County and most of Gem County, was partitioned from western Ada County in 1891. According to the U.S. Census Bureau, the county has a total area of 1,060 square miles (2,700 km²), of which 1,053 square miles (2,730 km²) is land and 7.9 square miles (20 km²) (0.7%) is water. The Boise River flows through the northern portion of the county, and the northwest border is bounded by the foothills of the Boise Range mountains, the summits are in adjacent Boise County. The southwestern border of the county is bounded by the Snake River.